A bursary of $1,000 for an undergraduate student specializing in the Real Estate Division of the Faculty of Commerce and Business Administration. A prize of $500 is awarded annually to the student receiving the highest standing in BUSI 330 offered by the Real Estate Division, Sauder School of Business at the University of British Columbia. 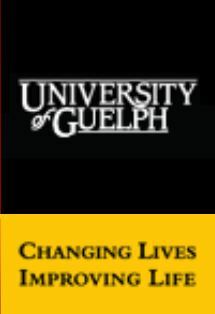 A scholarship awarded to a student registered in the Real Estate and Housing major of the B.Comm degree program at the University of Guelph. This scholarship is awarded to a student who has completed at least 9.0 credits, but no more than 12.5 credits, with a minimum of 70% in the last two full-time semesters. 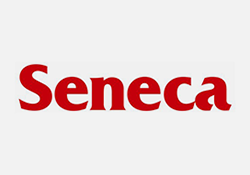 An annual award in the amount of $500 is presented to a graduating student in the Real Property Administration Program (RPA) who has, in the opinion of a Seneca faculty panel, demonstrated academic excellence in RPA 112 and one or more of the additional AIC curriculum courses at the College; has an active interest in the field of real property as a career and has made valuable contributions to the classroom environment. The Appraisal Institute of Canada Scholarship for Langara College is for Continuing Studies students enrolled in courses complying with the credit requirements of the Appraisal Institute of Canada. The award recognizes those students whose academic performance is outstanding. The student must be working toward the Real Estate Analysis Certificate and have completed a minimum of three courses and have the highest mark in Residential Construction. A gift awarded to the student with the highest grade in AIC 399, who is a Candidate member in good standing with the Appraisal Institute of Canada. Solidifi awards this annual scholarship in the amount of $1,000 to an active AIC member in good standing with the highest grade in RPA 306/AIC 400 over one academic year.